Questions about our Block of the Month Programs? Please understand these programs are a commitment for the duration of the program. Deposit and first month kit fees are due at the time of sign up. We provide a complimentary help on Block of the Month programs in our studio, or email/telephone support for our out of area customers. We will be happy to mail your kit to you. Standard USPS Priority Shipping Rates apply. Call our studio with any additional questions regarding our block of the month programs. 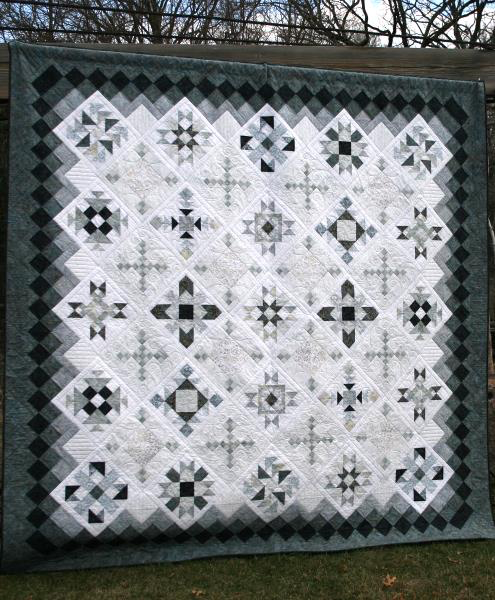 This beautiful quit is done in a gorgeous palette of neutral tone batiks with blue undertones. From Whirligig designs, it's sure to be a show stopper. 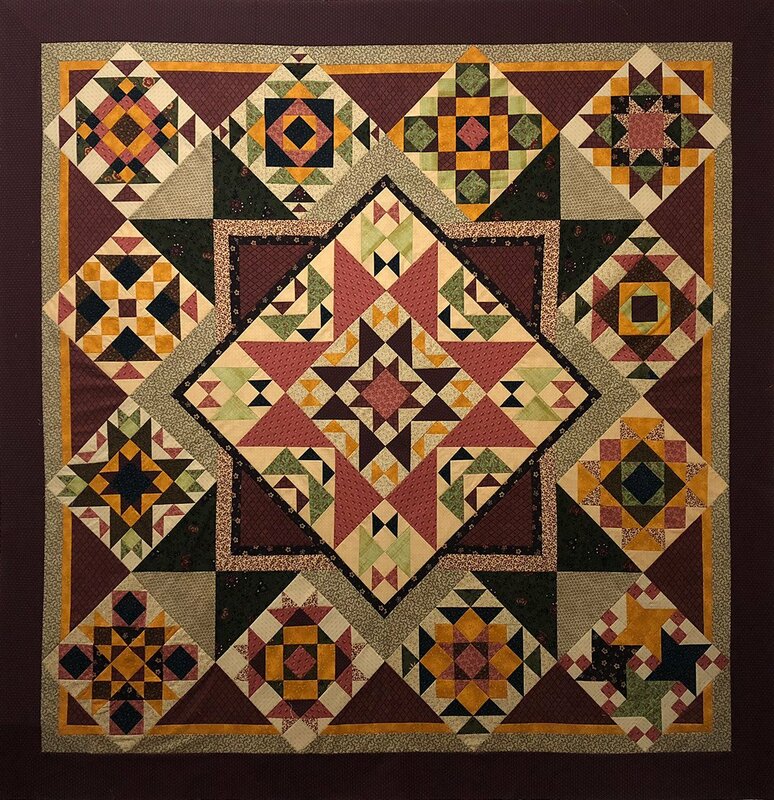 Sign up with a $32 non-refundable deposit, and $28 a month for 8 months, you will get multiple blocks each month so you won't have to wait too long to have a beautiful finished quilt! Made in fabrics with a slight Civil War inspiration, this quilt finishes at 64 inches square. Perfect for a throw, a bed topper, or even hanging in place of honor on your wall. We will have a complimentary mini class on successful Y-seams for participants when the time comes. We have several full kits available. ($120) Bolts of these fabrics have gone back out on the shelves if you happen to fall in love with one in particular. Bluebird Quilt Studio Original Design! 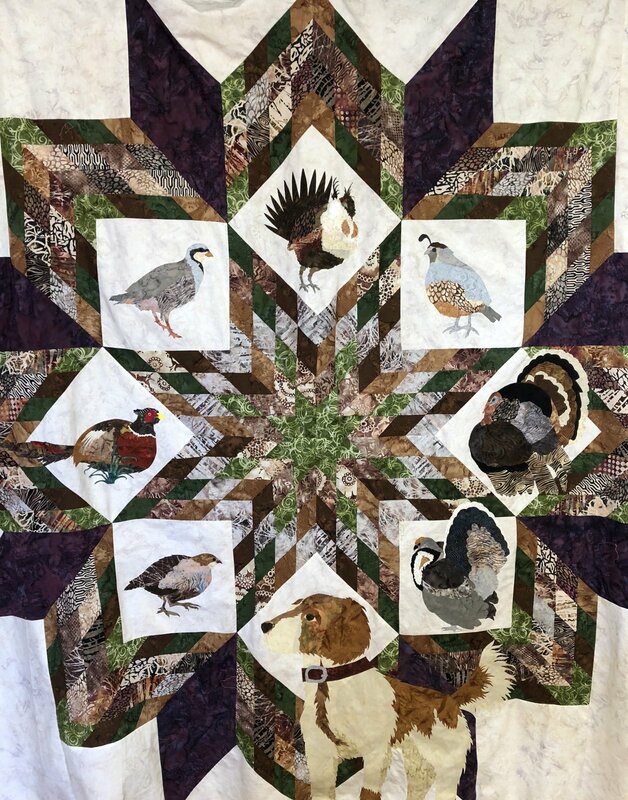 Upland Game Birds Block of the Month. Live online demo of thread painting of pheasant block for this upcoming BOM program at Bluebird. Grab a cup of coffee and join us for this preview.